Alliance Model Works. Military Vehicles. Star Decal - Bison. Echelon Fine Decal. Special Hobby. Failure to comply with this will result in unpaid item filing. Live Resin. Yahu Model. Dragon Models #6105. 1:35 ‘39-‘45 Series. Wehrmacht Infantry (Barbarossa 1941). Enjoy. Open box, kit is complete and unstarted. See item description for details. In the UPPER RIGHT CORNER of the kit box.The Emblem is Red Labeled DML release from Hong Kong molds are still crispy with a LOT of detail, and. This kit is Number 1 - from the early initial DML releases. Panzer Art. Star Decal - Bison. Echelon Fine Decal. TAHK / TANK. Failure to comply with this will result in unpaid item filing. Yahu Model. Hobby Craft. WingNut Wings. Sold AS IS seen in photos. Dragon Models Warrior Series 1/16 Kit No. 1624 Unterscharfuhrer Wiking Division 1945. Open box appears to be complete. Box has wear and dents. What is in the photos is what you will receive. See all photos and my other listings. 1/72 Panzerfähre Gepanzerte Landwasserschlepper Prototype Nr DRAGON MODEL KIT 7490. - Panzerfahre Gepanzerte Landwasserschlepper is authentically produced. Many aspects are obviously shared with the earlier PzF Nr.I kit, with changes inserted where necessary for the later vehicle. SEALED KIT, SEE PICS . Unique set and a great additions to your colle ction. This re sulted from many years of stacking in storage. HOW YOU WANT TO RECEIVE YOUR ITEM IS UP TO YOU. HMS Sheffield Type 42 Destroyer Batch 1 Dragon 1/700 Factory Sealed. All parts sealed inside. Air Superiority Series. If there is a problem, we will take care of it! Echelon Fine Decal. Star Decal - Bison. Copper State Models. Cutting Edge. Failure to comply with this will result in unpaid item filing. Mantis Miniatures. Live Resin. Yahu Model. 1/72 Scale. New In Box. Dragon Ultimate Armor 'Berge-Panther mit Pz.Kpfw.IV Turm' Eastern Front 1944 Item #60664. Paragon Designs. 1:1 Scale Weapon Models. Hobby Boss. Royal Model. Tommy's War. Alliance Model Works. Super Scale Int. Reality In Scale. Dragon DML 1:35 US Marines Khe Sanh 1968 NAM Series Figure Kit #3307 Sealed ..
You are purchasing a NEW in SEALED BOX DRAGON MODELS 1/35 SCALE 'NAM' SERIES U.S. MARINES (KHE SAHN 1968) MODEL SET #3307. You are watching about Dragon 1/24 BMW 318i Warsteiner JTCC '95 model kit. The plastic kit is not started to build. All parts are in bag. Dragon 1/35 T-34/76 Mod. 1941 #6205. Condition is New. But outer seal broken. Kit complete. Shipped with USPS Priority Mail. Tu-95 Bear G Dragon 1/200 Soviet Bomber Complete But Parts Off Trees. Dragon 6038. Factory sealed. See item condition for more info. See scans for details. 1:35 German VORPANZER Pz.Kpfw.IV Ausf. Dragon / Cyber Hobby 6398 Smart Kit. NEW IN BOX - rare, limited production run, collectible White Box Cyber Hobby. - New slide-molded storage bin with crisp details can be assembled open/closed. 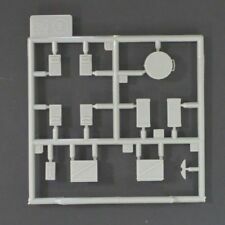 1/35 GERMAN 2.8 cm sPzB41 AT Gun & Crew Dragon 6056. This kit thus makes an ideal buy for the modeler who hasn’t yet decided which type of Elefant to build. Dragon DML 6871 Smart Kit. 1:35 German Sd.Kfz. 184 ELEPHANT. Part of the pin connector on one hand broke. It can still be put on or hand can be replaced. Dragon Plastic Models are an award-winning line of high quality plastic model kits that include tanks, cars, aircraft, figures, and warships in popular scales. This kit is part of the Panzer Korps III series. Each kit includes two different models and features the latest hi-quality modelling technology for 1/144 scale! This finely detailed plastic model kit requires assembly and painting. Dragon 1:35 Pz.Kpfw.VI Ausf.E Sd.Kfz 181 Tiger I Tunisian Initial s.Pz.Abt.501 Pz.Rgt.7 Tunisia 1942-43 Kit #6608. Tiger Model Designs. Copper State Models. Failure to comply with this will result in unpaid item filing. Echelon Fine Decal. Star Decal - Bison. Cutting Edge. Plus Model. Plus Model - Airkit. Master Model. Failure to comply with this will result in unpaid item filing. Yahu Model. One of the rockets from this family was the Titan IIIC, this being a space booster used for US Air Force (USAF) missions. This rocket built by Martin Marietta first flew on 18 June 1965, and its final flight was in 1982. 1:35 scale Dragon Models Chinese Korean War Volunteers. New in their original box. Dragon 31301. See item condition for more info. Rare subject. No scale given but box is about a foot long. Dragon DML 6027 Smart Kit. The Panther II tank was a German tank design proposal, based on the Panther tank during the Second World War. The Panther II did not progress beyond prototypes and did not enter production. MODEL KIT 7484. The latest one will be a surprise to many – a 1/72 scale kit of the M65 Atomic Cannon, commonly referred to as “Atomic Annie”. The M65 cannon could be prepared for firing in 15 minutes, and the weapon’s range was about 32km. 1/35 Tiger I Ausf. H2 Dragon 6683. Although the Tiger H2 never saw production, it was a significant link in the Tiger’s family tree. Up for grabs is a Dragon 1/35 PzKpfw III Ausf F PzBefWgIII command tank model kit. Echelon Fine Decal. Star Decal - Bison. Master Model. Failure to comply with this will result in unpaid item filing. Yahu Model. Hobby Craft. WingNut Wings. Warpaint Books. 1/35 Cyber Hobby Number 1 Tiger I, 3 in 1, Kit Complete in Open Box Parts in Factory Sealed Bags, Small amount of self wear on box as is.